Whether it's auto paint or collision repair, Maaco has easy, affordable and reliable auto paint and collision repair services that can turn the car you drive back into the car you love. When is the last time you gave your car a second look? Or ran your fingers along the hood? Let us transform your weathered wagon with a fresh coat of paint. We have choices available for every budget and soon you'll be driving the car you always wanted, again. Accidents happen! But, Maaco's expertly trained technicians can repair your dents, dings and accidental damage to get you back on the road and on to your next adventure. We guarantee our auto body repair work and with 1 million+ cars serviced annually, our results speak for themselves. Whether it's minor damage or large repairs, Maaco has been a trusted body shop for more than 20 million drivers. We work with all major insurance companies to schedule, inspect and seamlessly repair your vehicle. Trust the body shop that makes it easy, affordable and reliable to repair your vehicle. Maaco's certified centres are here to offer national or local fleets everything they need to stay on the road. From rebranding to accident management, benefit from corporate oversight, flexible billing and repairs backed by a nationwide warranty. Services not available in all locations. No one likes surprises during their lease turn-in. Stop by one of our local Maaco shops and let us help you maximize the value of your leased vehicle with easy and affordable repairs. Did a neighboring car in your parking deck leave you with a door ding? Or was it a recent hail storm? If you have minor dings or dents on your car, paintless dent repair (PDR) may be a great affordable option to consider for repairs. Whether it's a work truck or your family car, the bed of your truck takes a beating. Maaco can help protect it by maintaining the bed liner, which creates a consistent and durable surface for your next road trip or project. Accidents happen! From small chips to major cracks, Maaco can help you protect your car's windshield. We work with all major insurance companies to help make replacing your windshield after an accident seamless. For a reliable body shop in Langley, BC, turn to Maaco Collision Repair and Auto Painting. We fix routine dents and dings, and we also provide structural repairs. If your car has been damaged in an accident, you can count on our expertly trained technicians to provide high-quality work. Plus, all structural repairs are backed by a lifetime warranty. 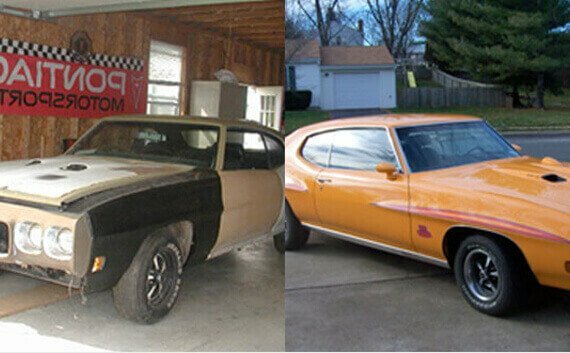 Along with dent repair, we provide superb painting services that will get your vehicle looking like new again. We offer several different packages, all with varying price points and warranties. No matter the service we’re providing, we’ll keep your budget in mind. We hope that your experience with us is easy, affordable, and hassle-free. Maaco opened its doors in 1972, and in that time, we’ve serviced more than 20 million cars across North America. You can come to our locally owned shop for great rates and excellent service. We’re available Monday through Saturday for your convenience. Call today for more information. Our Maaco Certified Centres are the "best of the best." These Centres are distinguished for their quality of work in both auto painting and body repairs. Certified Centres have to pass a rigorous certification process annually that is a comprehensive review of their business and repair services. Have a question for this location?